Jessie Taylor is furious when her roommate secretly posts her picture on the dating website LDS Lookup — furious, that is, until she spends all night instant messaging Ben Bratton, a man whose wit and warmth just might make Jessie forget the train wreck of her last romantic relationship. Their first date is a smashing success (literally), but Ben’s overall awesomeness can’t save Jessie from having to deal with Craig, her competitive coworker whose baiting behavior sets new standards for obnoxiousness. Determined to beat Craig at his own game, Jessie spends long office hours finishing projects and putting out fires, but while her performance wows her boss, it only makes Ben skittish— after a failed engagement to an up-and-coming lawyer, he’s not about to pair up with someone who’s married to her job. Will Jessie figure out how to be true to herself and take her big chance at love before it’s gone with a click of the mouse? Added it up... another fun, witty, clever read! 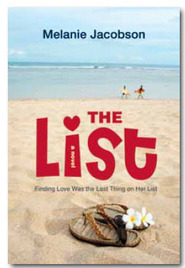 The fictional LDS internet dating website is the setting for another of Jacobson's books. Jessie is a great character. In a funk since being dumped by her RM, she hasn't connected with any dates in years. Her roommate Sandy, registers her for LDS Lookup where she meets Ben, someone who helps her out of this funk. Is she ready to unburden the 'rocks' she has been carrying along, or is she still stuck with her head in the sand? Work stress and fun don't mix well, and Jessie has to decide what is more important, balance in her life, or her desire to 'win' at all cost and do her best. Her realizations are painful, but luckily, her H is a knight in shining armor. Sweet, nuances are worth multiple reads. 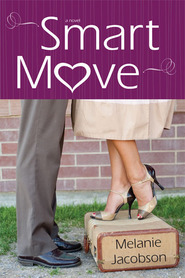 Sandy is a fun character too, her story is told in "Smart Moves". Each is a stand-alone novel though. Have re-read it several times just for the 'fun' of her sweet story! Light, funny, and cleverly told. Does it add up? Yes perfectly! Melanie Jacobson had no books out before I left on my mission. I came home, started working at Deseret Book, and fell in love with her! I will read ANYTHING she puts out. There is so much chemistry behind the characters while remaining completely clean! I love it! This is such a cute book! If you like these characters, you can follow them even more in A Perfect Move. I wish she could write books as fast as I read them :D Except then I'd never do anything but read! Although TWITTERPATED is not my favorite book by Melanie Jacobson (that would be NOT MY TYPE), I still enjoyed it quite a bit. The author's got a strong, snarky voice, the likes of which you don't find often in LDS fiction. 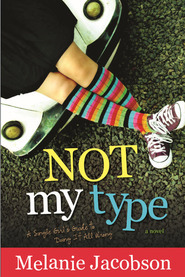 It makes her books upbeat, funny and real (more things you don't often find in LDS fiction). I would have liked more conflict in this story as well as better character development, but overall, TWITTERPATED is a nice, fun, entertaining book that's clean without being too preachy. I don't like a lot of LDS fiction, but I really like Melanie Jacobson. If you're in the mood for light, fun romances, definitely give her books a try. Witty, current, believable and thoroughly entertaining! "Twitterpated" is my favorite read of the summer! Melanie Jacobson is a clever, current author. 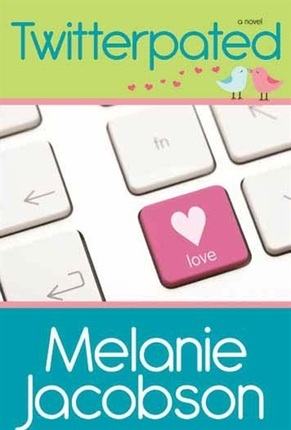 Occasionally I find LDS Romance a bit ho-hum with less than believable, garbled-wordy dialogue, but Melanie's "Twitterpated" is believable, easy to relate to, fun, clever, and engaging from beginning to end. 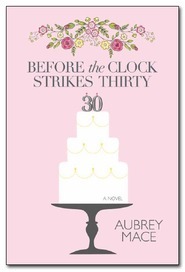 The dialogue between characters is witty, oh so witty, and I found myself wishing I had half those lines at my disposal during my dating years! I quickly bought her other two books which I enjoyed (eh, devoured!) equally well. Please keep 'em coming, Melanie!! Cute, light, and laugh out loud funny! OK, I have to confess . . . I am a HUGE fan of romantic comedies! Unfortunately, most of the rom-com books are trashy and full of risque scenes. That is why I am so devoted to my LDS fiction. And Melanie Jacobson is the queen of LDS rom-coms! "Turns out you still have a split personality," I said. If you aren't laughing now, there is something seriously wrong with your funny bone. And the whole book is packed with snappy dialogue and hilarious details. Melanie has an amazing ability to turn simple details into hilariously witty antecdotes. For example, "I felt like my laughs were the equivalent of verbal golf claps" [p. 177]. Seriously, how does she come up with this stuff?! Along with the hilarious situations and snappy dialogue, there are also plenty of sweet and tender moments between Jessie and Ben. Can I just say, I'm totally in love with Ben (sorry husband!) He is a doll! I love his self-deprecating, confident, witty, and totally laid-back demeanor. The sweet gestures he makes, such as spontaneously dropping off a movie and burger just because Jessie mentions it, turn him into an irresistibly-delicious, (slightly geeky) and endearing hero! 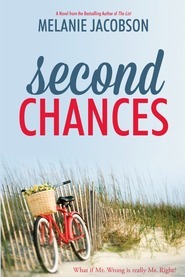 I loved this book and if you are looking for a cute, light, and laugh-out loud romantic comedy, then you should definitely be reading a Melanie Jacobson novel! I love laugh out loud books and this is one of them! I found myself blushing, cheering and snarling along with the main character! It was a great read!